Over the past two decades, Watershed has served over 25,000 children and adults through community education programs. Watershed connects talented teaching artists in Maine with public and private schools, community and cultural centers, social service sites, and senior programs. 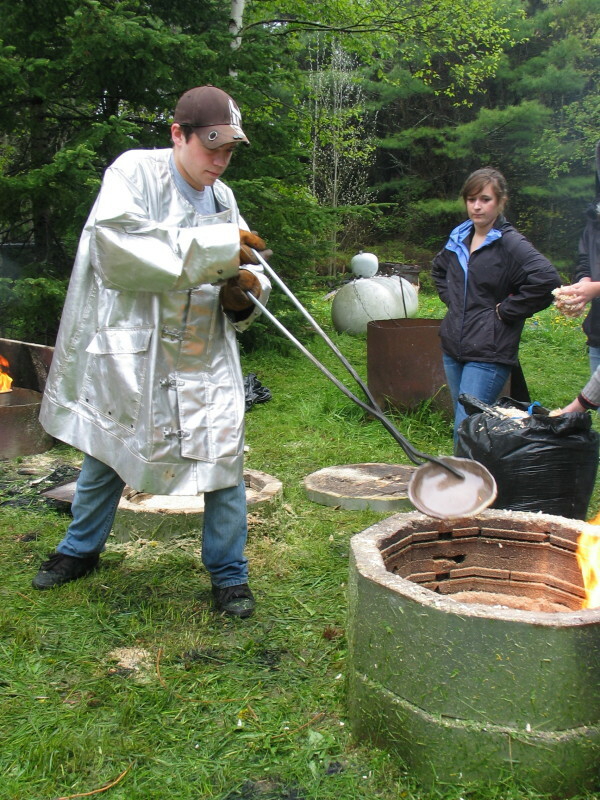 The artists work with the host site to create educational ceramic projects designed to introduce participants to historical uses of clay; current art-making practices; Maine’s geology, and environmental stewardship. Students use non-toxic, food safe clay and glazes for the projects. The focus of these sessions is on process, not just product, with clay lessons that connect to science, math, history and cultural studies. Learn more about Watershed’s clay education programs. 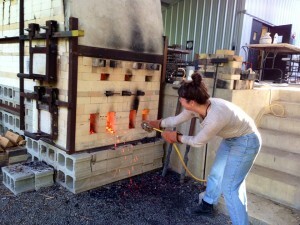 Watershed welcomes groups of artists, and high school or college students (with their instructors) for glazing and firing programs in spring and fall months. Educational institutions and clay collectives often come to Watershed to take advantage of kilns not available in their studios. Watershed’s 2,600-sq.-ft. Kiln Shed houses two wood kilns (salt/soda catenary and train), several gas kilns (including salt/soda and gas downdraft), electric kilns of various sizes, and a setup for raku firings. Weekend firings typically book six to twelve months in advance, so contact Watershed as soon as possible to secure a date. Individuals who have participated in Watershed firing workshops or residencies may be approved to operate Watershed equipment by our Studio Manager. If not, Watershed can provide instruction or facilitation during the firing weekend. Overnight lodging is also available on campus. For more information, please contact us at (207) 882-6075 or email our studio manager at rfahnestock@watershedceramics.org.